Always read labels carefully if you’re serious about going gluten-free. When you first go gluten-free, you might think it’s all about avoiding bread products, crackers, and pasta that isn’t labeled “gluten-free.” All three of those things are only the beginning, though. Once you start to dive deeper into what it takes to keep gluten out of your daily food intake, you’ll soon start to see hidden sources of gluten in places that may surprise you. It’s true that oats by themselves do not contain gluten. However, the key is “by themselves.” Commercial farms frequently grow oats and other crops together— including wheat, barley, rye, and other grains. That means cross-contamination can occur pretty much whenever the wind blows — as well as along the production line after harvest. Oats specifically marked as “gluten-free” are grown, harvested, and processed in dedicated gluten-free facilities for anyone who has gluten sensitivities. For those with extreme sensitivities, the website Gluten Free Watchdog maintains a list of companies that voluntarily adhere to a gluten-free purity protocol with their oats. According to registered dietitian Tricia Thompson, blue cheese is often suspect because it’s a category of cheeses made using penicillium spores that may or may not have been grown on a medium — such as rye bread — that contains gluten. It’s difficult to get clear answers, so the matter is one of eternal debate. You can read sad tales of former Pringles-lovers who discovered that they couldn’t eat their favorite chip anymore all over the Internet. It’s true: Pringles contain wheat ingredients. Pre-made salad dressings may also contain gluten — even if they’re seemingly simple, like a balsamic vinaigrette. If you’re cooking at home, use a simple cornstarch slurry to thicken sauces and gravies instead of a flour roux. When you’re shopping at the store, always read the labels carefully to check for gluten ingredients. Many tamari sauces don’t involve wheat in their production. Always check to make sure the bottle you’re considering is marked gluten-free, though. If you’re making cornbread with cornmeal and wheat four, it’s not gluten-free. Read over many popular cornbread recipes and you’ll see two things. They all contain cornmeal, and they all contain some variety of wheat flour. The same is true of restaurant cornbread, as well. I would never suggest you completely give up cornbread — I’m not a monster. If you love cornbread and you’re interested in making it yourself, I make this recipe all the time. Some baking mix companies also offer GF cornbread mixes if you just want recipe training wheels. 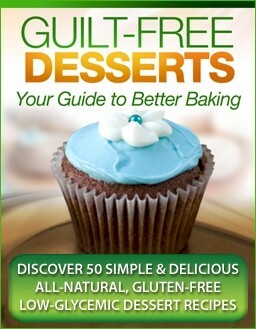 Lots of candy bars and other sweet treats that you may love contain gluten. Twizzlers, Almond Joy, and Milky Way are all examples. Always read the labels carefully if you’re trying to avoid this or any other allergen.